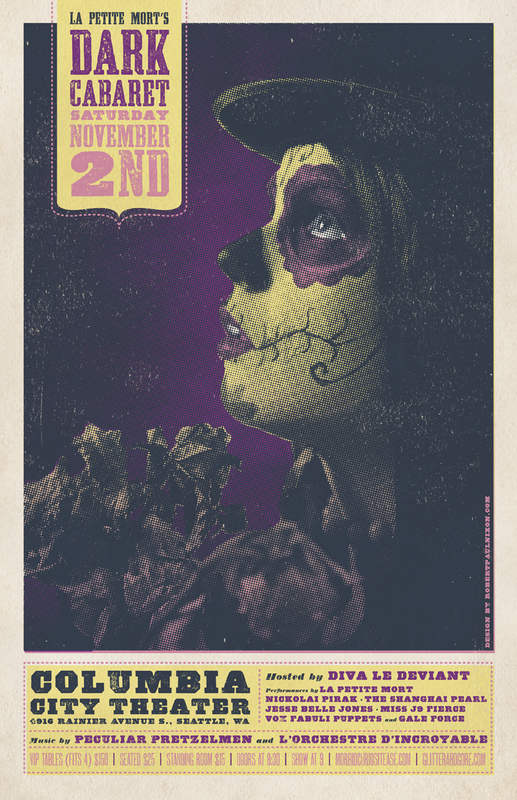 Picks of the glitter: a cornucopia of fall burlesque events! Portland’s Miss Kennedy brings The Rocky Horror Pastie Show (now in its third year) to The Columbia City Theater in Seattle. A “live adaptation of Rocky Horror with a little less dialogue and a LOT more T&A”- not to mention a fantastic cast featuring some folks we don’t get to see often enough in Seattle. Be sure to break out your fishnets, pearls, and platforms so you can walk away with some fancy prizes from the Rocky Horror costume contest. Get tix HERE. At Fremont’s November Art Walk, POC will be displaying photos from his Burlesque photo exhibit that debuted at Tigerlily Salon way back in August. Stop by Fremont Coffee Company from 6-8pm and say hello! Beer, wine and coffee drinks will be available. “TUSH! Burlesque is back with another incredible original show! Join us as we present a cornucopia of autumnal delights in song, dance and striptease. This is a big one. Now in its sixth action-packed year, BurlyCon is back November 7-10. This year’s Guest of Honor is none other than New Orleans burlesque legend Wild Cherry. Get tix and info HERE. 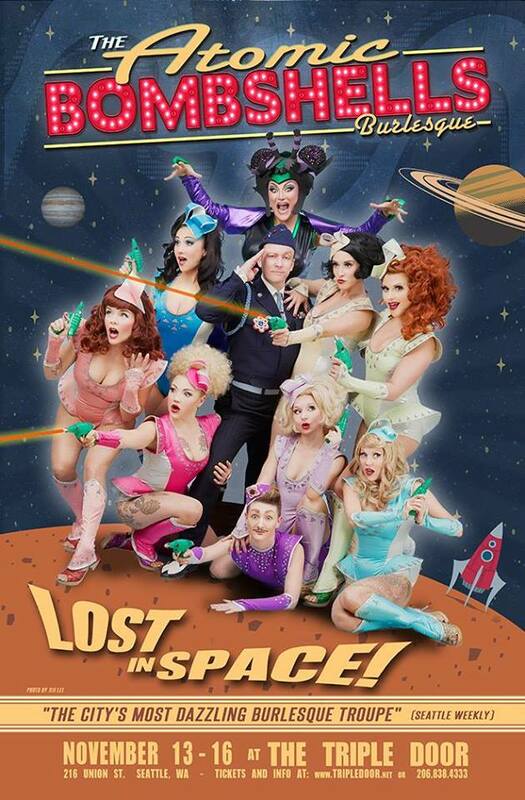 “Back by popular demand for its third run: Seattle’s burlesque all-stars blast off with their glittering sci-fi spectacle and fan favorite. These award winning showgirls and boys are back from the east coast to celebrate their 10-year anniversary this November. Watch them pull out all the stops as they return to the gorgeous Triple Door theater with the third run of their most over-the-top show to date! With an otherworldly retro-future soundtrack featuring Joe Meek, Esquivel, and Raymond Scott, The Atomic Bombshells take you on an intergalactic voyage of sight and sound, filled with alluring aliens, slinky space adventurers, bodacious Barbarellas, and planetary princesses! Did we mention that The Atomic Bombshells were recently described as “polished, clever, and glamorous” by none other than Dita Von Teese? *Sigh* The Atomic Bombshells, November 13-16. ~ by angrytruffle on 10/21/2013. Tags: Atomic Bombshells, BurlyCon, Clown Stripper Productions, La Petite Mort, Lost In Space, Rocky Horror, TUSH!